Anticipation Senses the foe's dangerous moves. 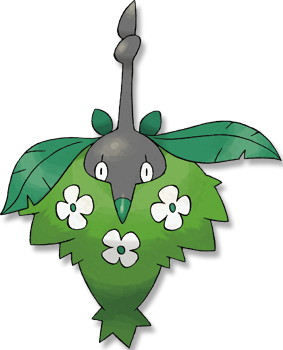 This Pokemon will be aware when an opposing Pokemon with a move that would do super-effective damage against it switches in. Diamond/Pearl Its appearance changes depending on where it evolved. The materials on hand become a part of its body. Heart Gold It is said that a WORMADAM that evolves on a cold day will have a thicker cloak. Soul Silver It is said that a WORMADAM that evolves on a cold day will have a thicker cloak. Black When evolving, its body takes in surrounding materials. As a result, there are many body variations. White When evolving, its body takes in surrounding materials. As a result, there are many body variations.